I’ve fondled a lot of phones in my life, and in general all flagships have grown to feel equally high-end — especially in the past two years. The Pixel 3 joins the ranks of Samsung and Huawei phones this year with its glass-covered body that feels polished and dense (in a good way). Its design isn’t groundbreaking, though — it almost feels like an iPhone 8 except with more curves. But that’s not a bad thing. The 3 XL, meanwhile, feels similarly sturdy and looks gorgeous — that is, until you turn it on. When you do that, you’ll see the controversial notch. It’s not for everyone, and is larger than on the iPhone XS and other full-screen phones. Thankfully, Google lets you mask it in developer settings. It’s just sad that you’ll then be left with bits of screen sitting around doing nothing. Frankly, if you don’t need the larger screen, you’re better off getting the regular Pixel 3. The smaller handset’s display is, surprisingly, my favorite thing about the new phone. It’s significantly better than the Pixel 2, offering a sharper image with brighter, richer colors. By default, the Pixel 3’s screen is set to the new “Adaptive” mode, which Google says provides a mix of vibrant yet natural colors that “most users prefer”. You can switch this to regular sRGB or “Boosted” (sRGB +10 percent) for more muted colors if you wish, but I liked its default setting. I haven’t seen any blue shift yet, and though colors like gray sometimes seem a little purplish or red, I’m just so taken with the Pixel 3’s full HD+ HDR screen I don’t even mind. It’s a huge step up from the Pixel 2, and somehow feels even better than the Pixel 3 XL. Another thing I loved about both the regular Pixel 3 and the XL, is the new color option and the question everyone’s been asking is “Just how pink is Not Pink?” Frankly, the shade here is subtle — it definitely isn’t a version of “rose gold.” The color leans more towards pastel, and is so barely pink I’d even call it “off white.” On a scale from pork chop to Piglet, the Pixel is definitely closer to the other white meat. Both phones use a Snapdragon 845 processor with 4GB of RAM, which seems a little stingy. But product lead of the Pixel phones Peter Prunuske believes it’s sufficient, especially since the new devices have dedicated chips for image processing and security (Pixel Visual Core and Titan Security respectively). The Pixel 3 smoothly rendered complex spreadsheets and several rounds of my favorite game (Gordon Ramsay’s Diner Dash, okay?) while a screen-recording app was capturing what I was doing. So far, it’s pretty speedy. Downloading apps or Spotify playlists, scrolling web pages and loading the camera on the Pixel 3 all felt as fast as on my Pixel 2, if not slightly quicker. On that aging handset though, my battery tends to drain overnight. The Pixel 3, meanwhile, generally sipped power slower at night, partly because Wind Down and Do Not Disturb keep notifications from sucking energy. The Pixel 3 can typically sustain me through a full work day and the next morning, though I’d have to quickly plug it back in when I get to the office. Meanwhile, the Pixel 3 XL clocked about three hours more than its smaller brother on our battery test, and generally hangs out half a day longer, too. The year’s biggest flagship phones are out, and the Pixel 3 is mainly up against the iPhone XS and Galaxy S9. The Pixel 3 XL, on the other hand, contends with the iPhone XS Max and the Galaxy Note 9 (or S9+). Obviously, if you’re an iPhone fan you’re better off sticking with Apple and iOS. Plus, the new flagships have improved cameras that rival the Pixels. If you just want the best pictures, though, Google has Apple beat. 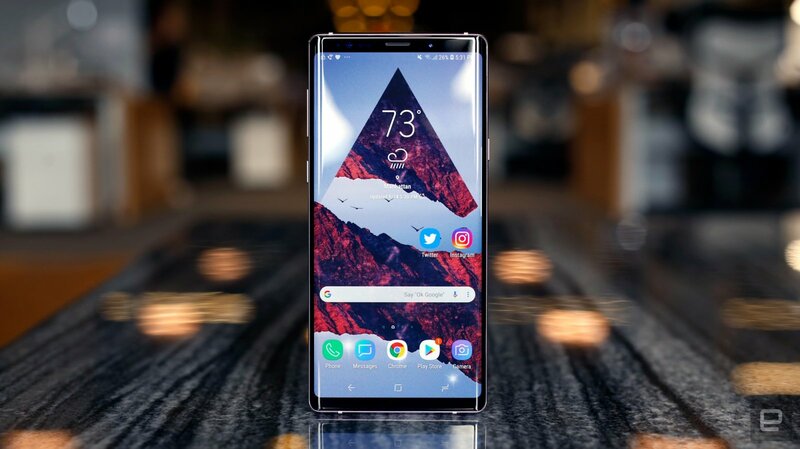 Android fans who want a large notchless phone will find the Note 9 or S9+ compelling options. They both take very good pictures and offer a Dual Aperture mode to make low light shots brighter. The Note 9 comes with a stylus that doubles as a remote so you can set your phone down to take pictures from further away, too. But you won’t get the Pixel UI and clever Assistant features like Call Screen or Smart Compose. All these phones also cost about $200 more than the Pixel 3. In the same price range, though, is the iPhone XR. We haven’t reviewed that device yet, but our early impressions have us feeling optimistic. If you want to spend less money, also consider the OnePlus 6. It offers flagship-esque specs for hundreds less and a decent dual-rear camera setup. The OnePlus 6 and the iPhone XR might not match the Pixels on photo quality, but should offer performance that’s pretty close, thanks to the powerful processors they pack.